GALVESTON, Texas (Reuters) – Hurricane Harvey intensified early on Friday into potentially the biggest hurricane to hit the U.S. mainland in more than a decade, as authorities warned locals to shelter from what could be life-threatening winds and floods. Harvey is set to make landfall late Friday or early Saturday on the central Texas coast where Corpus Christi and Houston are home to some of the biggest U.S. refineries. Oil and gas operations have already been affected and gasoline prices have spiked. Harvey grew into a category 2 storm with winds of 105 mph (169 kph) as it moved northwest about 185 miles (295 km) off Port O’Connor, Texas, the National Hurricane Center said. Up to 35 inches (97 cm) of rain are expected over parts of Texas, with winds up to 125 mph, and sea levels may surge as high as 12 feet (3.7 meters). Louisiana could get 10 to 15 inches of rain. Flood warnings are in effect for Louisiana and northern Mexico. “Life-threatening and devastating flooding expected near the coast due to heavy rainfall and storm surge,” the hurricane center said. The storm’s approach triggered evacuations and forced the cancellation of classes on Friday at dozens of schools along the south Texas coast, home to 5.8 million people from Corpus Christi to Galveston. It also forced the cancellation or delay of at least 40 flights in and out of major airports in Texas on Friday, according to Flightaware.com, a site that tracks airline traffic. Louisiana and Texas declared states of disaster, authorizing the use of state resources to prepare for the storm. President Donald Trump has been briefed and is ready to provide resources if needed, the White House said on Thursday. Harvey is forecast to come ashore as a Category 3 hurricane, the National Hurricane Center said, the third most powerful on the Saffir-Simpson scale. That would make it the first major hurricane to hit the mainland United States since Hurricane Wilma struck Florida in 2005. The NHC expects Harvey to move slowly over Texas and linger over the state for days. Houston, the nation’s fourth most populous city, warned residents of flooding from close to 20 inches of rain over several days. More than 45 percent of the country’s refining capacity is along the Gulf Coast, and nearly a fifth of the nation’s crude oil is produced offshore. Ports from Corpus Christi to Texas City, Texas, were closed to incoming vessels. The government said 9.6 percent of crude output capacity was shut and 14.6 percent of natural gas production was halted. Three refineries in Corpus Christi and one farther inland at Three Rivers were shutting down ahead of the storm. Concern that Harvey could cause shortages in fuel supply drove benchmark gasoline prices to a three-week high. One other refinery reduced output and others were considering shutting. Prices for gasoline in spot physical markets on the Gulf Coast rose even more, hitting a one-year high. Profit margins for refineries producing gasoline rose by more than 12 percent on Thursday, on course for their biggest daily percentage gain in six months, according to Reuters data. 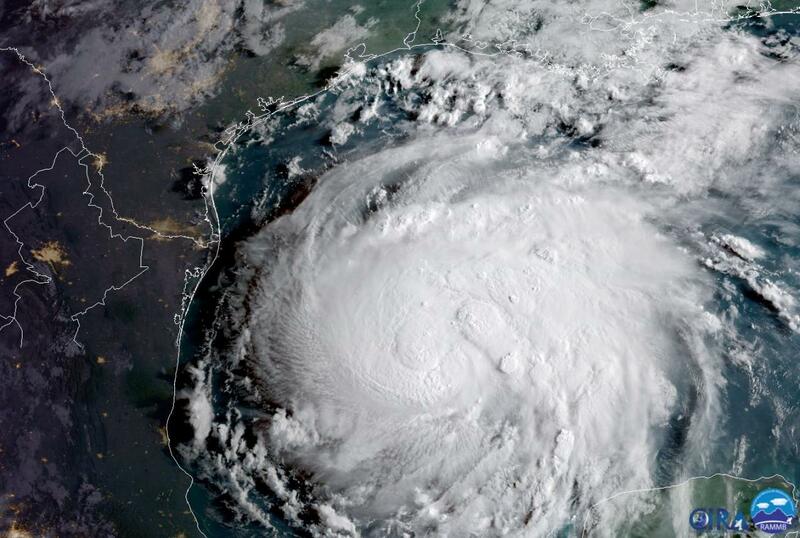 Royal Dutch Shell Plc, Anadarko Petroleum Corp and Exxon Mobil Corp have evacuated staff from offshore oil and gas platforms in the storm’s path. The storm could also bring flooding to shale oil fields in southern Texas that produce more than one million barrels of oil a day. EOG Resources Inc said it had curtailed drilling and shut some production in the Eagle Ford shale region. Noble Energy Inc and Statoil ASA also said they were evacuating some staff from production facilities.